No 59 Cois na hAbhainn. The Connacht Property Auction is gearing up for its final auction of 2018 which takes place on November 22 in The Menlo Park Hotel, Galway. The company has announced a significant increase in UK buyers in the market and they are now accounting for 20 per cent of enquiries to the company. The Connacht Property Auction is now encouraging property owners considering selling their property to contact the company to discuss options. Given the current high demand levels and the extensive marketing campaigns due to be undertaken in the coming months, the team are confident of getting strong interest in the properties on offer. Offered at bids over €120,000 in partnership with Tyrrell auctioneers. 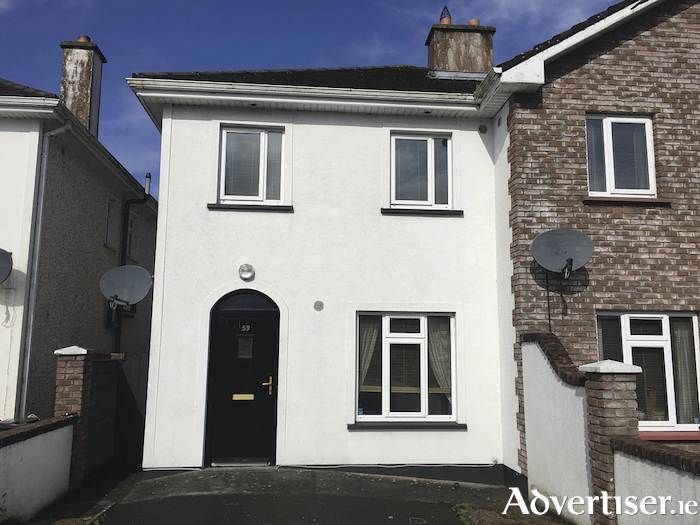 A well maintained three bed semidetached residence, situated in a sought after location, just a seven minute walk from Tuam town centre and a 25 minute drive from Galway city. The property offers all mod cons and is in excellent décor and condition throughout. To the rear of the house there is an extensive garden, with a deck and storage shed. This most delightful property is ideal for those looking for a starter home or an investment. This property comprises a derelict cottage and old shop located on the main road into Carraroe from Galway. The property was in use until about 1990 and is now in need of total refurbishment but still offers excellent long-term potential. Situated in Clynagh, the cottage is built on approximately 0.86 acre and is just a short stroll from a public pier. Offered at bids over €10,000 in partnership with Tyrrell auctioneers. Approximately 0.5 acre site for sale at Russellstown, Milltown. The site is within two minutes of Milltown village and all its local amenities.